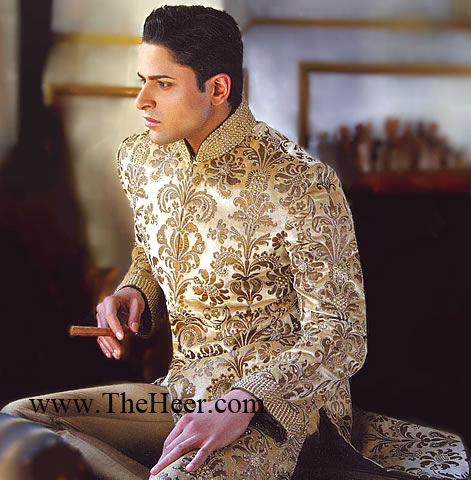 Exudes modernity by wearing this beautiful raw silk sherwani. Ethnic-inspired embroidery work all over. Embellished collar and sleeve cuffs. Comes with plain Kurta and flat-front straight Pants. Click the button below to add the SW543 Golden Rani Pink Sherwani to your wish list.